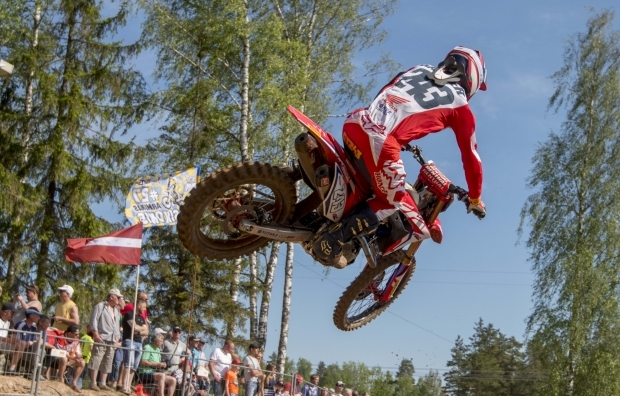 Tim Gajser has wrapped up round seven of the 2018 Motocross World Championship with a fourth-place finish in the second moto of the day, which helped him claim fifth overall in the MXGP of Latvia. 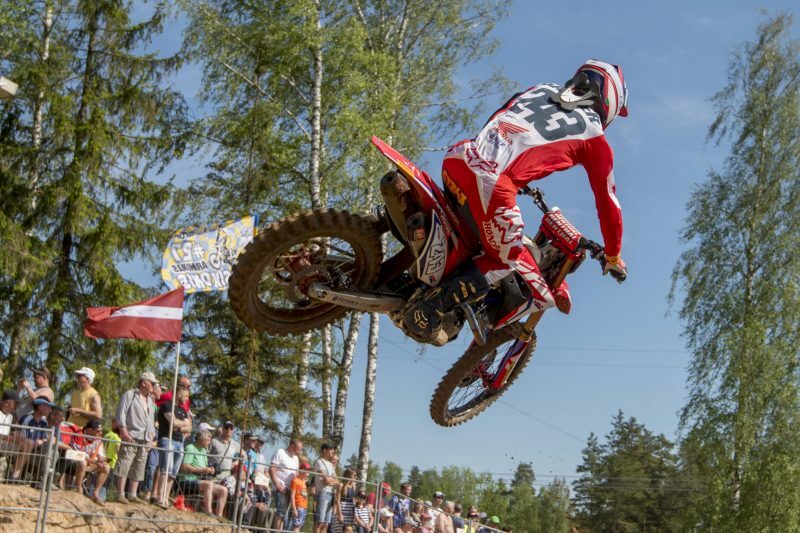 With the MXGP paddock now ready to head straight to Teutschenthal for the MXGP of Germany, the Team HRC rider leaves Kegums still eighth in the championship standings. 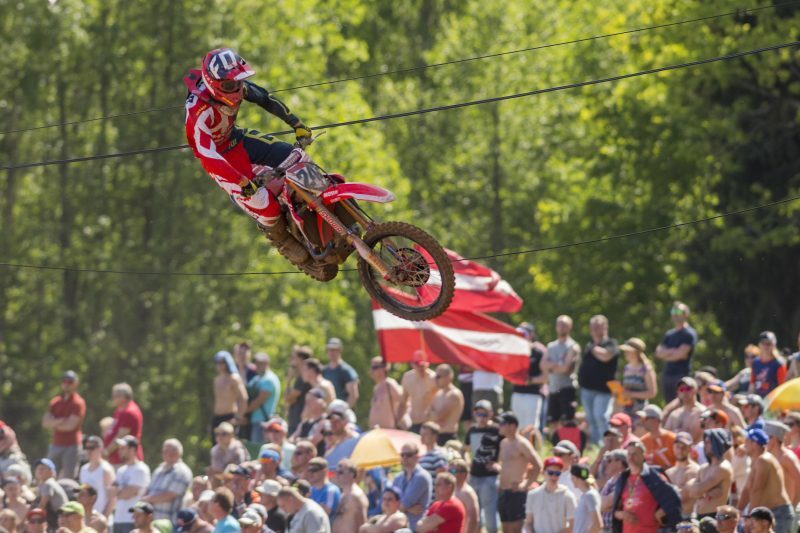 Gajser had a near-perfect jump out of the gate in the second moto and battled hard to consolidate third place as lap one drew to a close. 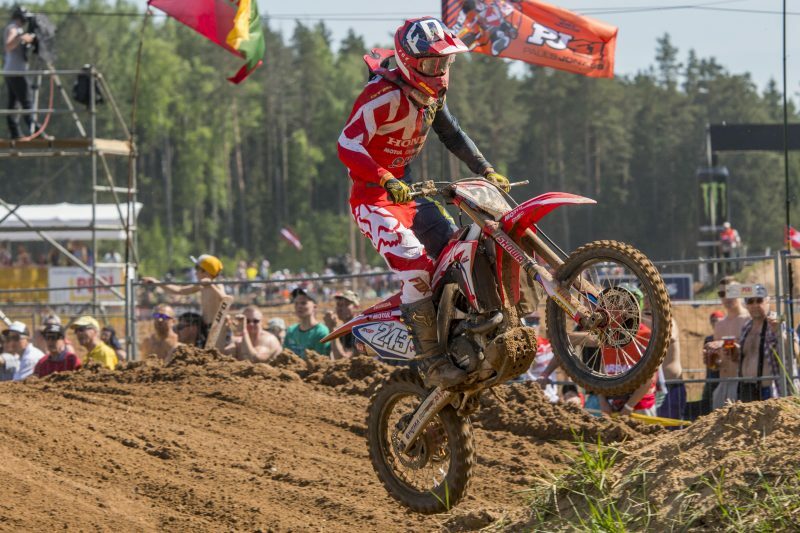 The two-time World Champion soon came under pressure from Herlings and moved down one position, but he was able to recover it soon after by overtaking Coldenhoff. Tim rode at a very good pace in the first two thirds of the race, but as the laps ticked down he struggled to keep a strong enough rhythm and was eventually caught and passed by Paulin three laps from the end. 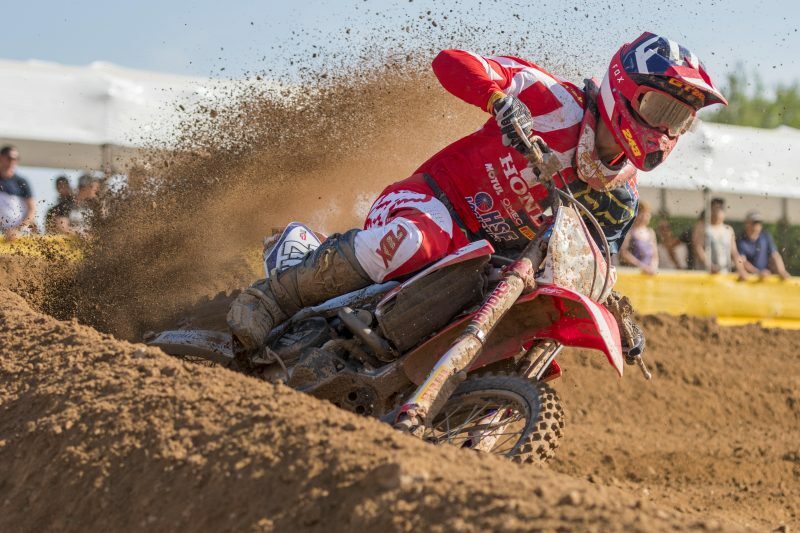 After a challenging start to race one, Gajser managed to recover many places in a few corners and was up to sixth place before a tumble halted his progress on the opening lap. 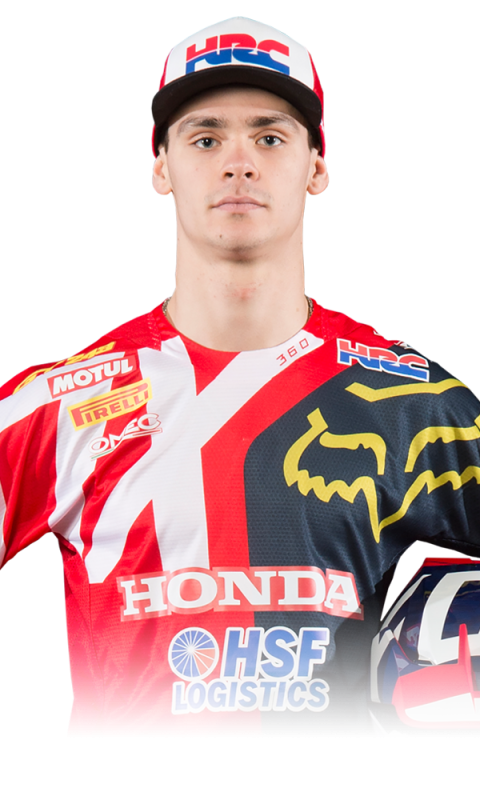 The young Slovenian rider remounted his Honda and from 29th place he went all the way up to ninth at the chequered flag, after overtaking fellow Honda rider Jasikonis on the penultimate lap. Today wasn’t too bad although that’s clearly not where we want to be. This is how things are looking at the moment, but we will keep working hard. I know what I’m capable of and I know I can do better than this, but step by step I think we will get there. Teutschenthal is next, and it’s a track I really like. It’ll be important to avoid mistakes and push hard to get the type of results we deserve. 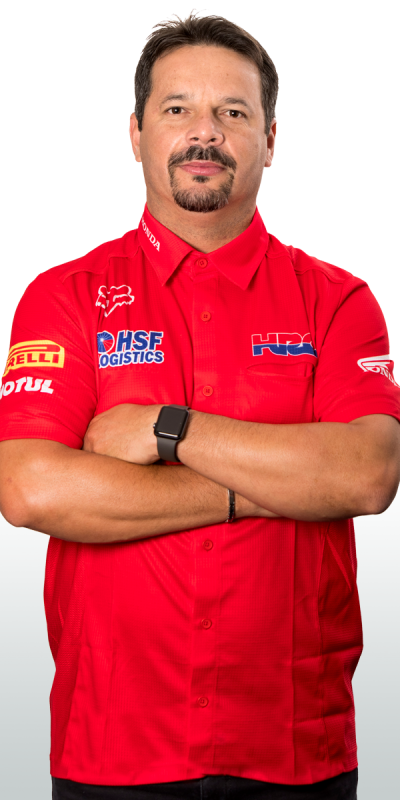 I want to thank the team for their invaluable work: the bike was really good throughout the whole weekend. Fifth place overall is not exactly the type of result we’re looking for, but it’s still something we can build on, especially with Germany coming up next. 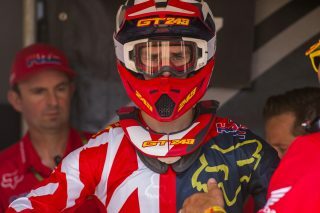 The track wasn’t easy and it got quite rough by the end of the second moto, but it was the same for everyone. 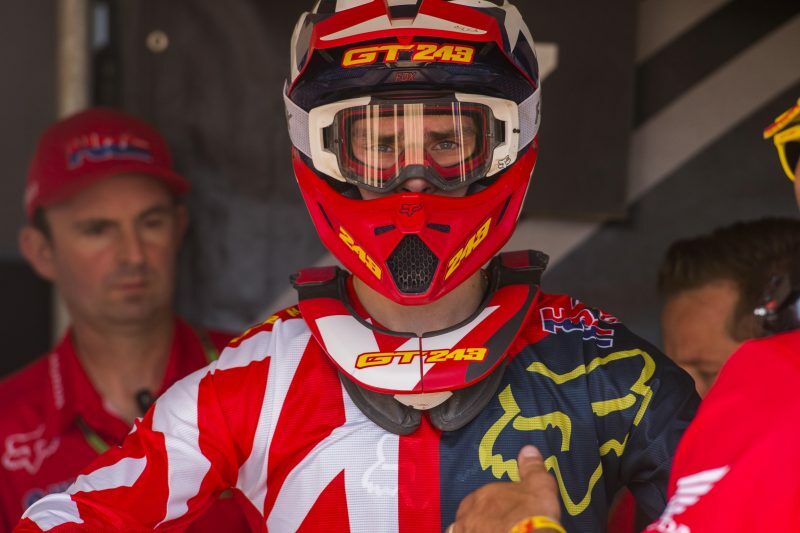 Tim was quick in the early part of race two and that bodes well for Teutschenthal, a track that suits his style a lot more than here. The bike was very competitive today, so a massive thank you to the team for their hard work.